ADVENTURE tourists gather around because today Sanook! 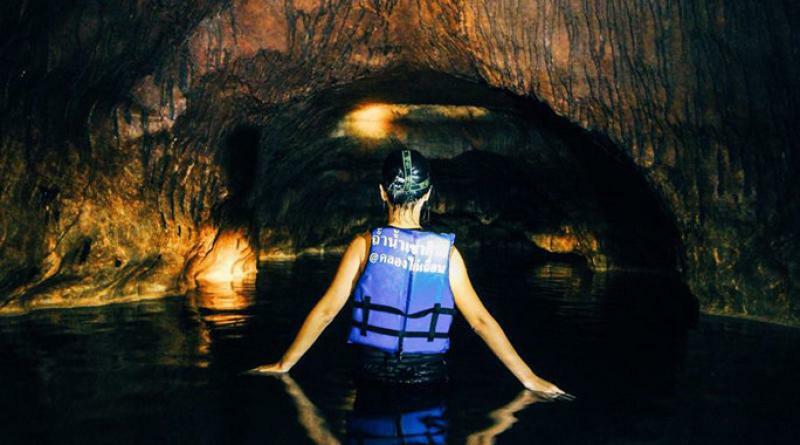 Travel has an exciting spot for you all to explore with this being Tham Nam Khao Siva cave in eastern Sa Kaeo province, Sanook.com reported last Friday (Sept. 29, 2018). 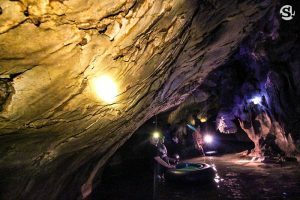 The international rescue of the 12 Wild Boar soccer boys and their coach who were trapped at Tham Luang cave in northern Chiang Rai province for 17 days last July had a heavy impact on this eastern cave as tourism plunged sharply. 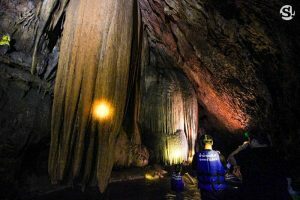 However this is a good opportunity for adventure tourists as they will get a chance to explore this beautiful a cave more personally. To enter the cave one has to wear life vests and gumboots plus strap a torch across the head, and then follow the guide in. Tourists immediately plunge into waist-high water with the icy coldness and the pitch-dark environment building up excitement. 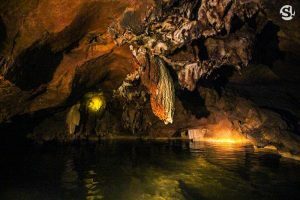 However after adjusting to the darkness, tourists are able to walk normally, but they should step carefully because there could big boulders beneath the water. 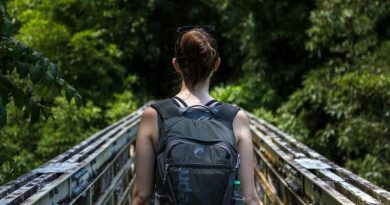 It is best to follow the guide. After a bit, everyone had to float further in because the water level reached above the head. 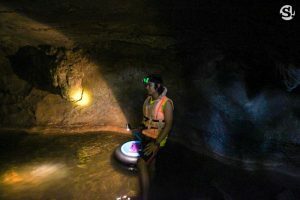 It is a new experience to float into a cave, and certainly very exciting. 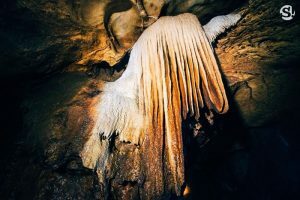 Within the cave are beautiful stalagmites and stalactites, and when light shines on them one is amazed by their glittering unusual shapes. This really made everyone very happy. The distance in the cave is around 350 meters, and right at the end there is a big hall which is completely dark. 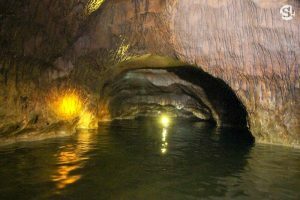 Here one can swim and play in the water, it is like a big pool within the cave. After swimming and taking photos, the adventure party came out the same way it had gone in, ending an exciting trip full of mysteries to explore. 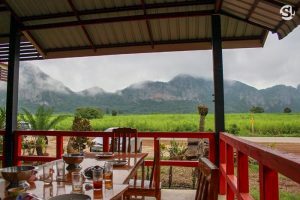 Before returning, the adventure tourists stopped to enjoy the view at Khao Siva hill which was cloaked in thick fog, and it is hard to believe that Sa Kaeo has this thick mist. Those who like adventure should try coming to this cave, they will definitely be pleased. 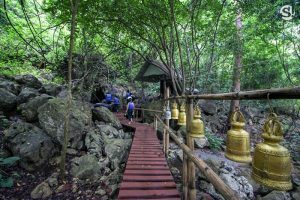 Tham Nam Khao Siva cave: Khlong Kai Thuean sub-district, Klong Hat district, Sa Kaeo province.